Welcome to Bubbles Balloons... Professional decorating, balloon sales and fancy dress costumes and accessories. Printed and branded balloons are perfect for show casing exciting new sales innovations. The bigger and bolder they are, the more your brand will be talked about and get your company and products noticed. Branded balloons are perfect for give-aways at carnivals and shopping centres and other corporate events, everyone loves a balloon! This new store has been designed to show case our work and also offer a massive range of beautiful foil balloons in all shapes and sizes and designs on-line for just about any occasion you can think of, for birthdays, weddings, christenings, bar mitzvahs, anniversaries, hen nights, Halloween and Christmas to name just a few. 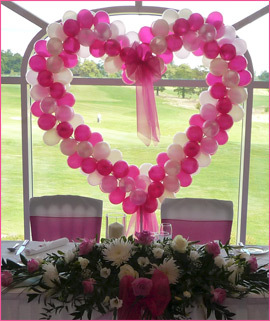 We have latex balloons and ribbons, scattering confetti, balloon weights and banners to complete your own decorations, but if you can’t see it, then just ask we will do our best to source it for you.